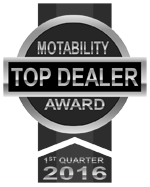 Only Hyundai vehicles registered 5 years or more before the service date qualify for 5+ service. Advertised costs constitute one service. Service level dependant on choice of service – base, full or interim . VAT at a rate of 20% is included in the purchase price. Please contact us for more information. The ‘£’ symbol denotes a charge for this additional service. Please contact us for more information.